Posted By:Unknown | At:7:37 AM Be the first to comment! Not that I needed another reason to dislike Mississippi, but here is one anyway. Oscar-nominated “Lincoln,” which depicts the political fight to pass the 13th Amendment abolishing slavery, played a role in Mississippi officially ratifying the amendment this month — a century and a half later. The story opens, not surprisingly, in a movie theater. Last November, Dr. Ranjan Batra, associate professor of neurobiology and anatomical sciences at the University of Mississippi Medical Center, saw the Steven Spielberg film and wondered afterward what happened when the states voted on ratification. That night, Batra — a native of India who became a U.S. citizen in 2008 — went on the usconstitution.net website, learning the rest of the story. After Congress voted for the 13th Amendment in January 1864, the measure went to the states for ratification. On Dec. 6, 1865, the amendment received the three-fourths' vote it needed when Georgia became the 27th state to ratify it. States that rejected the measure included Delaware, Kentucky, New Jersey and Mississippi. In the months and years that followed, states continued to ratify the amendment, including those that had initially rejected it. New Jersey ratified the amendment in 1866, Delaware in 1901 and Kentucky in 1976. The next day, Batra spoke with Ken Sullivan, an anatomical material specialist for UMC’s body donation program. 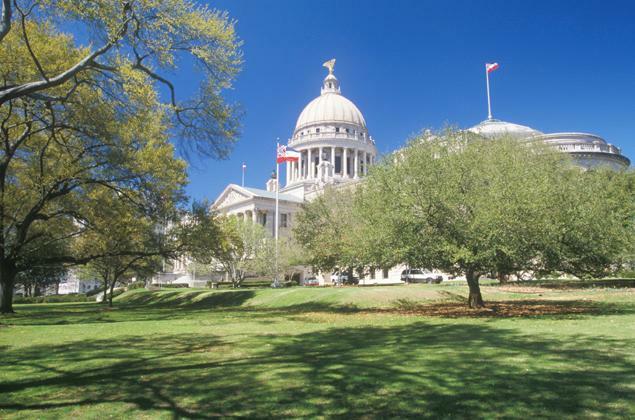 When Batra mentioned Mississippi had never ratified the amendment, Sullivan responded that he remembered state lawmakers had voted to ratify the amendment in 1995, when he was a senior at Crystal Springs High School.